Deadline reports that Donald Sutherland joined the big cast of big screen adaptation of The Hunger Games based on Suzanne Collins novels. Lionsgate has set Donald Sutherland to play the role of President Snow in The Hunger Games, the trilogy that will be directed by Gary Ross based on the Suzanne Collins novels. Snow is the autocratic ruler of Panem who uses the violent Hunger Games as a way to maintain control. Jennifer Lawrence plays heroine Katniss Everdeen. Josh Hutcherson, Liam Hemsworth, Toby Jones, Lenny Kravitz, Woody Harrelson, Stanley Tucci, Wes Bentley and Elizabeth Banks are also in the cast. Lionsgate will release “The Hunger Games” on March 23, 2012. Happy Anniversary: P&P Blog turns 4 Years Online!!! 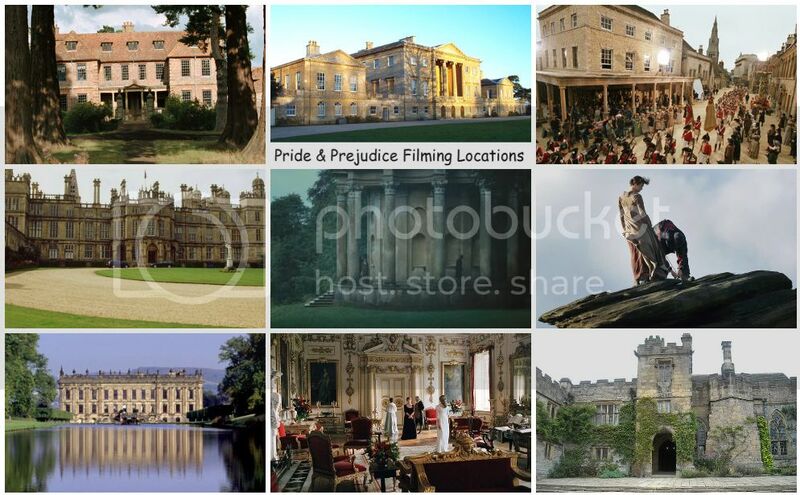 Four years ago today (May 29th), I started this blog as just an archived for P&P movie news and articles...and now 4 years later, this blog has expanded to a much bigger and frequently updated blog with all things Pride & Prejudice (esp. 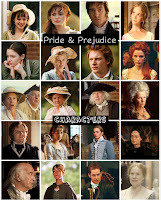 the 2005 film and its actors/cast and their film projects' news and more) and Jane Austen related news/articles/movies (ie. 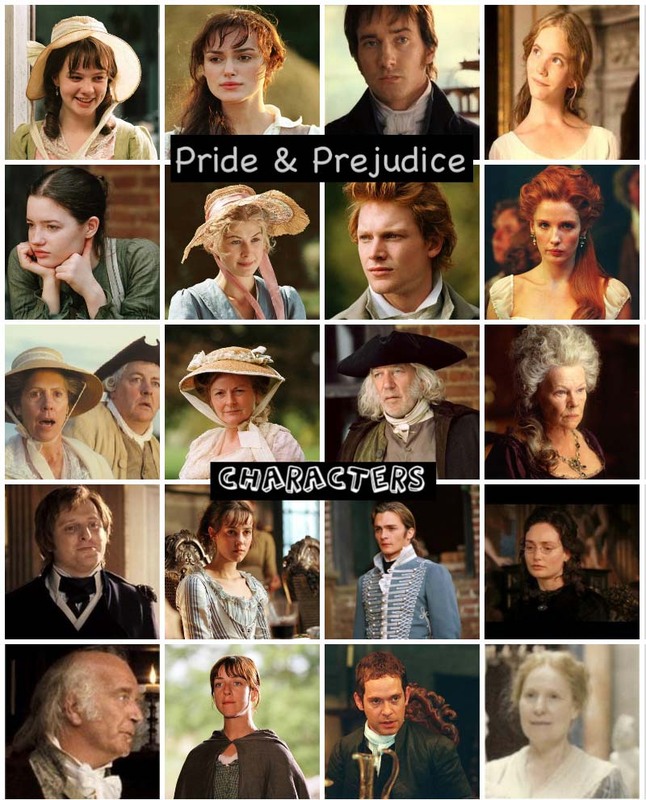 Becoming Jane, The Jane Austen Book Club, Lost In Austen, Aisha, From Prada to Nada,A Modern Pride and Prejudice, etc.). I must say, It's been a lot of fun blogging all bout all things P&P here for the past 3 years. Just noticed today that it's been 4 years already since I started this. I guess, time flies when you're having so much fun, lol. Birthday girlCarey Mulliganis currently seen inthe off-broadway Through A Glass Darkly, which started previews last May 13th. It will officially open Monday, June 6th; and play a limited engagement through Sunday, July 3rd Off-Broadway at New York Theatre Workshop. Updated 6/3/11:The New York Times released a promotional photoshoot of Carey Mulligan on set and in character for Through a Glass Darkly as well as a brand new interview. Check out the recent article and production shots featuring CareyMulligan (who is sporting a new hair color: brunette) below! 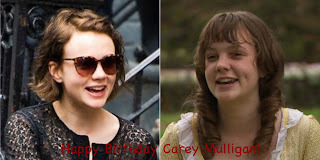 Today (May 28th), is the 26th birthday of Academy Award Nominee (for Best Actress in An Education), Carey Mulligan, best known to us, P&P movie fans, as Kitty Bennet! The first two production stills (along with a couple on set photos) has just been released (via itsofficial facebook page) forScents and Sensibility (2011) based on Jane Austen's novel, Sense and Sensibility, starring Ashley Williams, Marla Sokoloff, and Nick Zano. A poster has been released as well as the trailer. Check out the poster here and Watch the trailer of 'Scents and Sensibility' here! No release date yet for this film, but it is said to be released sometime later this year. 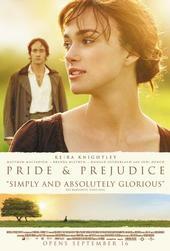 Read more info and see official trailer (or Watch the trailer of 'Scents and Sensibility' here!) about the film from itsofficial facebook page. Variety reports that Jena Malone, Gabrielle Union, Zach Gilford, and John Slattery are set to star in the indie dramedy "Family Tree." Exclusive: Gabrielle Union, Jena Malone, Zach Gilford and "Mad Men" thesp John Slattery are set to star in the indie dramedy "Family Tree." Brian Savelson is directing from his own screenplay. Anish Savjani ("Meek's Cutoff") is producing with Vincent Savino. Slattery and Gilford star as an estranged father and son who accidentally wind up in the same vacation home with their two girlfriends. Union will play Slattery's love interest who's practically the same age as his son, which makes for some awkward encounters. Malone will play Gilford's girlfriend. Production is scheduled to start this June in upstate NY. DVD News: Sucker Punch coming to DVD and Blu-ray June 28th! According to DVD Active, Jena Malone's Sucker Punch film will be released on DVD and Blu-ray June 28th. According toDigital Spy,Tom Hollander'sRev.series wasofficially renewed last month. BBC Two has ordered a second series of the comedy Rev. The show, which stars Tom Hollander and Olivia Colman, focuses on the struggles of an inner-city vicar. In addition,Any Human Heart, which Tom co-starred with frequent co-star(and fellow P&P co-star)Matthew Macfadyen won TV BAFTA's Best Drama Serial!! Watch the video interview with Tom Hollander and read the article below via Digital Spy. As previously posted here, the new SyFyoriginal movie Red Faction: Origins starring Robert Patrick, Kate Vernon, Brian J. Smith, and Tamzin Merchant (aka Georgiana Darcy in P&P movie) will premiere on Saturday, June 4th, on SyFy channel at 9 PM ET. The trailer and sneak peeks has already been showing on SyFy TV's channel and website. Check out the trailer screen caps and sneak peek caps as well as the video trailer and sneak peek clips featuring our girl Tamzin Merchant. She took a break from her usual period TV and film roles (ie. Pride & Prejudice, The Tudors, and Jane Eyre to name a few) to co-star in this action, sci-fi movie for SyFy channel. So, looking forward to seeing her in something different on this one! According with Variety, “A Dangerous Method” starringKeira Knightley, Viggo Mortensen, and Michael Fassbender will be shown at The 68th annual Venice film festival! The 68th Venice Film Festival is shaping up as an especially strong edition, with a slew of hot titles secured more than three months in advance of its Aug. 31 start. Lido competition berths are set for Roman Polanski’s “Carnage,” David Cronenberg’s “A Dangerous Method” and Russian auteur Aleksandr Sokurov’s highly anticipated “Faust,” the fourth and final installment in his “Men of Power” series. The 68th Venice fest runs Aug. 31 to Sept 10. Full article here. After her New York daytime and late night talk show appearances on Late Night with Jimmy Fallon, CNN, and Regis & Kelly,'The Daily Show with Jon Stewart' and NBC's 'Today' Show last week promoting her recently released film, Last Night, Keira Knightley is on location in Los Angeles, CA filming her upcoming film,Seeking a Friend for the End of the Worldin which she co-stars with Steve Carell (The Office), Adam Brody (The OC), William Petersen (CSI), and Derek Luke (Captain America: The First Avengers). It is slated for a 2012 release and is said to be a romantic-comedy film. As the Cannes film festival premiere ofDrive approaches just two days from now, another new clip featuring Carey Mulligan and Ryan Gosling has been released online! See the other clip here. Drive opens in U.S. theaters September 16th! The conclusionand Episode 3 (of 3) ofSouth Riding starring Anna Maxwell Martin, David Morrissey,and Penelope Wilton as Mrs. Beddows airs tonight on PBS Masterpiece Classic! Check your local listings for times in your area. 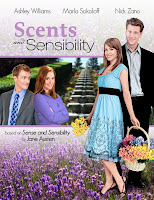 A new poster has just been released (via itsofficial facebook page) forScents and Sensibility (2011) based on Jane Austen's novel, Sense and Sensibility, starring Ashley Williams, Marla Sokoloff, and Nick Zano. No release date yet for this film, but it is said to be released sometime later this year. More morning and late night talk show appearances for Keira Knightley in New York as she continues to promote her currently released film, Last Night. She appeared late last night/early this morning on Late Night with Jimmy Fallon and CNN's American Morning. You can watch video clips of her interviews below. Also, her appearance on Live with Regis & Kelly is now available online via youtube, which you can watch below as well. Keira Knightleyrecently wrapped up her The Children's Hourplay last April 30th and is here in the U.S. promoting her latest film, Last Night. She appeared onThe Daily Show with Jon Stewartyesterday (May 9th), which you can see new photos and a video clip below of Keira posing for photos and signing autographs to fans outside just before she appeared on Jon Stewart's show. On that same day, she also appeared on NBC's Todayshow (see video clip of it below and photos here:On the Today Show via Sweet-Keira). She also appeared on Live with Regis & Kellythis morning.Unfortunately, no photos or video available on this one yet. I'll post it here when I find a video clip for it. UPDATE:Keira Knightley will be appearing on Late Night with Jimmy Fallon late tonight/early morning! For now, check out new photos of Keira Knightley stops to sign some autographs and pose for pictures before an appearance on "The Daily Show with Jon Stewart. The Atlantic Theatre Company have launched their information page for Through A Glass Darkly, which will be starring Carey Mulligan. The play is running from May 13 – July 3, and you can order your tickets here. Carey Mulligan's new film, Drive will premiere at the Cannes Film Festivallater this month (on the Croisette Friday Week May 20th) ahead of its September 16 release. The Cannes promotional material showed the first look at the film with a two-minute clip. The new Drivepress kit assembled for the festival provides a new poster, a longer synopsis, and several of new images, which you can view all here. Episode 2 (of 3) ofSouth Riding starring Anna Maxwell Martin, David Morrissey,and Penelope Wilton as Mrs. Beddows airs tonight on PBS Masterpiece Classic! Check your local listings for times in your area. A lively new headmistress brings progressive ideas to a conservative girls' school in Depression-era Yorkshire, sparking conflict — and a powerful attraction — with a stern, brooding landowner rooted in a troubled past. With its pounding surf and grinding poverty, South Riding presents a hardscrabble community still crippled from World War I, and its transformation, when infused with hope, through modernization, poetry, and even love. Anna Maxwell Martin (Bleak House) stars in this three-part miniseries, adapted from Winifred Holtby's 1936 novel by celebrated screenwriter Andrew Davies (Little Dorrit, Pride and Prejudice). 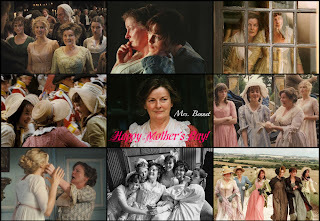 Also starring are David Morrissey (Sense and Sensibility) and Penelope Wilton (Downton Abbey). Now showing in theaters in limited release, Last Night starring Keira Knightley, Sam Worthington, Eva Mendes, and Guillaume Canet. The First Trailer(as I've posted here previously) was recently released for Working Title Films (Atonement and Pride & Prejudice)'s Johnny English Reborn starring Rowan Atkinson, Rosamund Pike, Dominic West, and Gillian Anderson. Now, Johnny English Reborn production stills has been released as well and includes a still of Rosamund Pike with co-star Rowan Atkinson as the title role. On DVD and Blu-ray release today is the recent Jane Austen Sense and SensibilityLatina inspiredFrom Prada to Nada (which was released in theaters last January 28th), a new romantic comedy starring Camilla Belle, Alexa Vega, Wilmer Valderrama, Kuno Becker and Academy Award nomineeAdriana Barraza. It is now Available on Blu-ray, DVD & Digital Download! Go get your copy, netflix it, or order your copy in eitherStandard DVD orBlu-ray on Amazon.com! 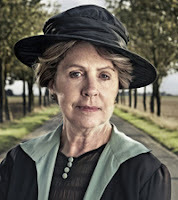 The new3-part series South Riding starring David Morrissey (The Other Boleyn Girl, Sense and Sensibility 2008), Anna Maxwell Martin (Becoming Jane, North & South), and Penelope Wilton (Downton Abbey, Pride & Prejudice 2005) as Mrs. Beddows written and adapted by Andrew Davies (P&P '95, Little Dorrit, Doctor Zhivago 2002, Wives & Daughters, The Three Musketeers 2011, etc.) from Winifred Holtby's novel of the same title will premiere this month of May! Episode 1 (of 3) airs tonight on PBS Masterpiece Classic! Check your local listings for times in your area.